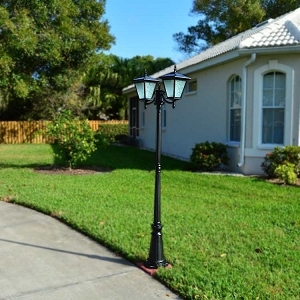 Column Mount, Post Mount, Wall Mount Solar Lights Powered by the Sun! In a Galaxy close to home (not far, far away), free-light proudly presents the GALAXY family of reliable solar lighting products for homes, office, cottages, campgrounds, golf courses, front yards, back yards... everywhere you want more available light from the sun. Choose GALAXY Column Mount for entrance pillars, brick columns, electrical posts. The light sensor automatically turns on at night. 12 LEDs of natural white light. 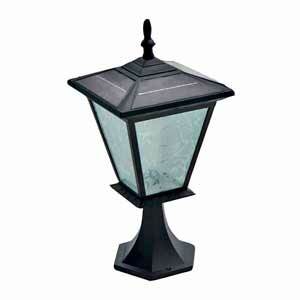 The GALAXY Column Mount solar light is an excellent entrance light that is both functional and easy on the eyes. Can easily replace old electrical fixtures that are unreliable and have failed you in the past. All you have to do is remove the old electrical light, cap the wires and install your new GALAXY free-light. Available in white or black. So easy to install. Learn more. 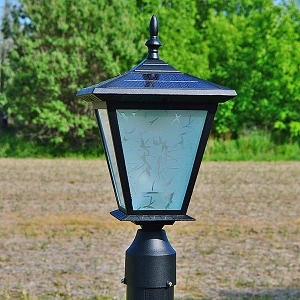 Choose the GALAXY Post Mount Solar Light that is easily installed on a standard 3" electrical post to replace old electrical lights with broken wires. 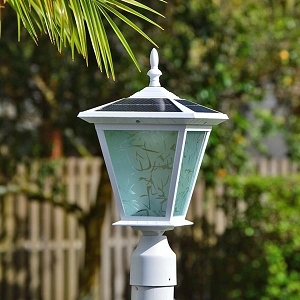 The GALAXY Post Mount solar light is easy to install and offers lots of reliable solar light from a very small footprint. The solar light has a power switch for vacation mode. Automatically turns on at night and stay on for up to 12 hours. Easy installation with only 3 screws. 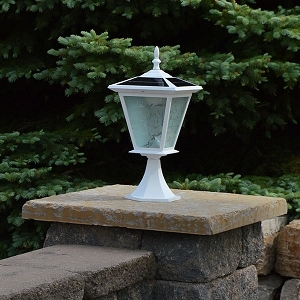 One of our free-light fans said this about the GALAXY Post Mount Solar Light, "This is great. Our old wired light stopped working, told it was the wiring. So instead of the cost of an electrician to fix, replaced with this. Fit on perfectly in less than a minute. Stays on ALL night, and lights up the front yard. LOVE it!!" (Secretly, we're blushing from all the praise.) Available in black and white. Also available in a 2 head model. Order yours now. GALAXY Wall Mount Solar Light. 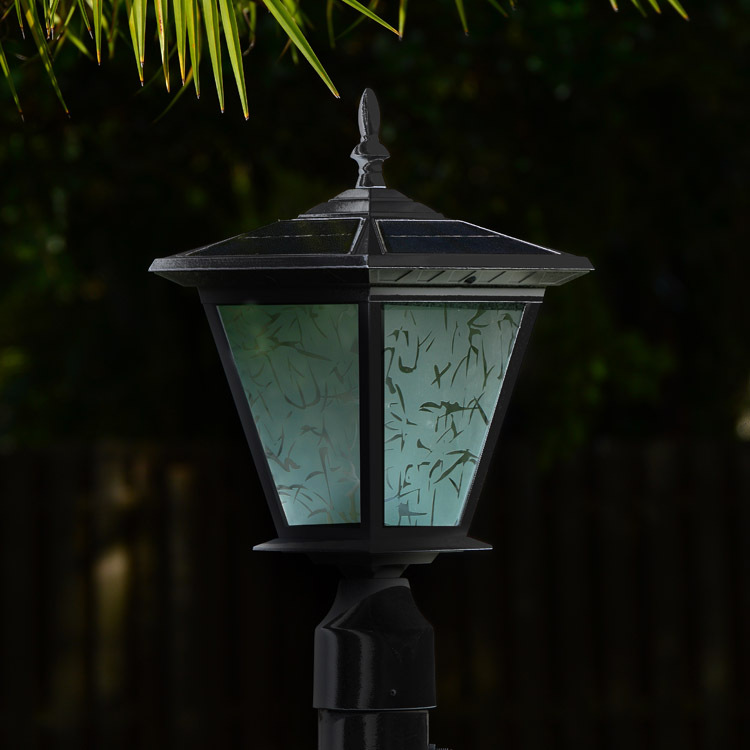 Rounding off the GALAXY experience is the GALAXY Black Wall Mounted Solar Light. Easy installation with only 2 screws. Consistent light output. 4pcs of 1W top mount solar panels quickly charge the efficient Li battery. Mount the GALAXY Wall Mount to a standard electrical box. It's a fast and easy replacement for unreliable electrical fixtures that have failed. 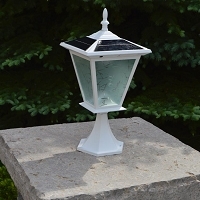 This is a great solar light for entrances, garages, porches, decks. 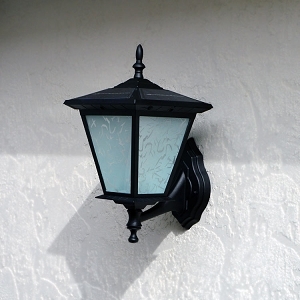 Please note: Mounting in the shade, under the eaves or an overhang will not allow the solar light to charge. Have a question about installation and best application? Ask us!